Here is a recipe in honor of National Cheeseburger Day. Yes, there is such a day and yes, it is in fact today! I have no idea who makes up these days, but I'm not complaining because I get to share this amazing recipe with you. 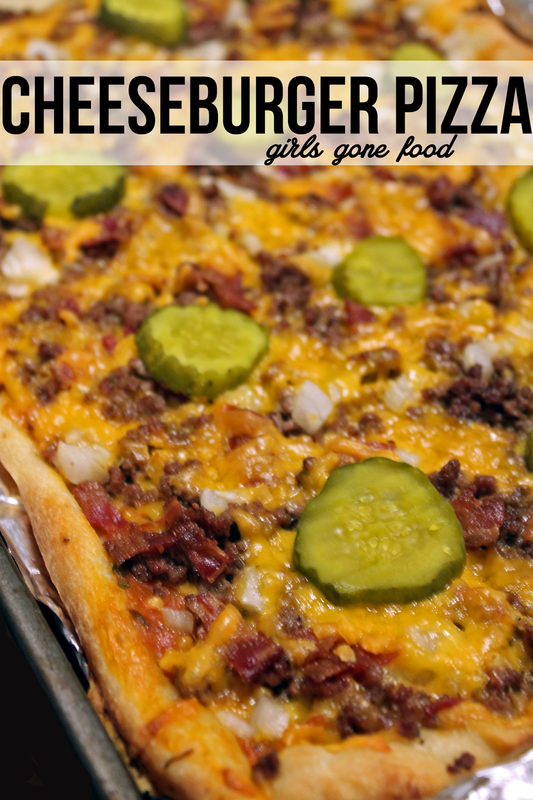 You might be thinking that there is no way pickles on a pizza would taste good. In fact, it is probably one of the most amazing combos ever. 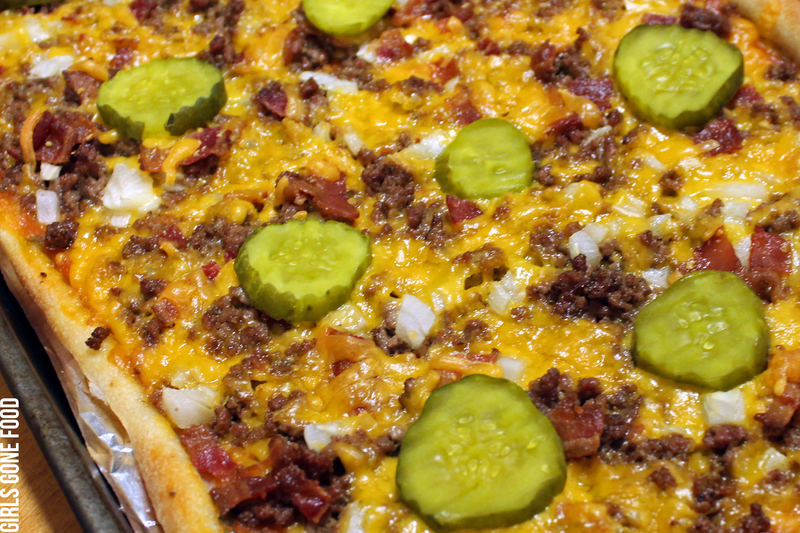 And of course, I had to turn it up a notch by adding bacon and making it a BACON cheeseburger pizza. So delicious!! Preheat oven to 400 degrees and spray a baking pan with cooking spray. Press the pizza dough in the pan and bake crust for 8 minutes. In a large skillet, brown the beef and onion. Drain. Add Worcestershire sauce and salt and pepper to taste. In a small bowl, add the ketchup, mustard, mayonnaise, and relish. Remove crust from the oven and spread the sauce on evenly. Sprinkle on half of the cheese. Sprinkle on the beef mixture and bacon. Top with remaining cheese. Bake for 6-10 minutes or until cheese has melted and crust is golden brown. Top with pickle slices and serve.